As teachers and students move away from the traditional classroom layout, schools are beginning to incorporate a 21st century learning landscape that looks unfamiliar to those who grew up with chalkboards and desktop computers. This transformation often requires training for teachers, administrators and parents. 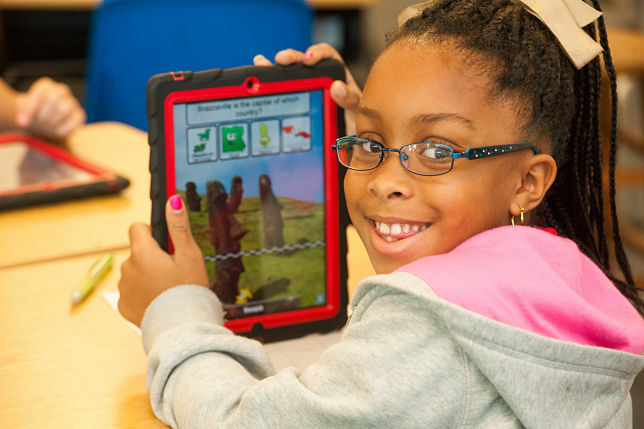 Canterbury School, a preK3-12 independent, college preparatory school in Fort Myers, FL, is pursuing a plan that integrates technology into the curriculum in order to inspire inquiry-based learning. In an effort to provide proper training and professional development opportunities to parents and teachers, Canterbury recently launched Parent University, a program dedicated to inspiring parents to become 21st century learning advocates and to providing insight and understanding of the school’s technological changes. Over the years, Canterbury School has undergone many technological changes. Jake Spanberger and his team at Entech, Canterbury’s technology partner since 2010, have worked to implement a strategy that has led to the complete transformation of Canterbury’s technological environment. Innovations have included bringing in iPads and Apple TVs, replacing desktop computers with laptops and installing a campus-wide wireless network. To keep the physical space up to speed with these technological changes, Canterbury unveiled the Cougar Den, an active learning environment in the Middle School designed for collaboration using smart boards, media centers and mobile workspaces. Awarded grants from both Steelcase and Office Furniture & Design Concepts of Fort Myers, the Cougar Den, which opened in April 2014, removes the rigid classroom atmosphere of rowed seating and instead provides students and teachers with accessible technology and movement that fosters creativity, innovation and academic excellence. In December 2014, through grants from the Benedict Foundation, Canterbury School’s Parents’ Association, Raymond Building Supply and other donors, the school unveiled the first phase of its new Science Discovery Center. Through the implementation and integration of a pre-K through 12th grade STEM project-based curriculum, the Center includes opportunities for students to explore science, technology, engineering and math in three concept areas: robotics, astronomy and architecture and engineering. One change that school administrators and faculty are working to implement is a bring-your-own-technology (BYOT) program. The plan to implement this type of program was born from teachers’ and students’ thirst for an increase in technology usage in the classroom. With mobile carts of iPads, Chromebooks and laptops not accessible for every classroom, Keene, Spanberger and school administrators created a BYOT plan of action for the 2015–2016 school year. Canterbury’s BYOT program will apply to students in fifth through 12th grade. Students in fifth through eighth may bring either a laptop, iPad or other tablet; students in grades ninth through 12th grade may only bring a laptop. Keene has also focused on further refining the curriculum to best leverage access to these devices, both inside and outside the classroom. With the change to a BYOT environment, Keene naturally expected that parents would have questions. Can students access inappropriate websites during school? What if my child’s device is stolen or damaged? My child’s book bag is already too full; how do you expect him/her to carry a device, too? All of these questions are reasons why, Keene said, it was necessary to set up hour-long, monthly Parent University sessions in which attendees could feel free to ask about any ed tech topic of interest. To ensure that Canterbury parents receive in-depth information in a variety of areas, Parent University has addressed topics such as Infrastructure, Current Technology Integrations, Google Apps, Hardware/Software Choices, Current Technological Trends in Schools, History and Supporting Research in Technology Integration, Responsible Use, Internet Safety, Apps in Education and Social Media in Today’s World. Typically, Parent University sessions are held on the same nights as Board of Trustee meetings so that parents who are already planning to attend the board meeting can come early and attend Parent University. Starting next year, the school will offer parents the opportunity to earn digital badges for attending sessions. Keene also plans to involve teachers and students in Parent University, eventually having them lead the sessions.